Many don’t have electrical inspections at the top of their home to-do lists, but it can be easy to overwhelm your home’s electrical system. Weather can take a toll on the home, especially older houses. In winter, circuits can easily become overloaded with more people inside more often and heaters being plugged in for extra warmth. Texas summer and scorching heat mean more AC units running at full blast, making sure you aren’t going to blow your system at the cost of cooling off is imperative. Getting a spring checkup to ensure you are up-to-date on energy efficiency can get you ready for any kind of weather. An energy audit can help you determine where in your home you are losing energy and how you can save money. Keep a list of problems you’ve experienced to help prioritize any repairs or upgrades you may need. Looking for obvious air drafts and sealing those leaks can help save energy and keep your equipment from overworking in the hot months to come. Checking the insulation in your home can help deter air and heat loss through the ceiling and walls. Inspect any heating and cooling equipment and their filters to ensure everything is in working condition and not taking up too much energy. These important devices give your family an early warning to dangers that can potentially kill if not sufficiently monitored. Since they let your family know when to evacuate the home, these devices should be regularly tested to ensure they are working properly in case they are needed in an emergency situation. Replacing your smoke and carbon monoxide detectors every few years, according to their lifespan, can also help make sure they are in the best working condition. Take a moment to examine your light bulbs and consider exchanging them for more efficient lighting options. These changes can help you save energy and even give you more control of your lighting with sensors and dimmers. List all of the appliances and electronics in your home and estimate the energy use for each. From there you can determine the best way to reduce that energy usage. Unplugging items when they aren’t being used can prevent phantom loads and changing settings on different devices can create the need for less energy sapping. Worn out and damaged extension cords can create a serious hazard in your home. Take a look at all your appliances, extension cords and plugs around the house. If you see any that are fraying or loose you should look into replacing them as soon as possible. Keeping all cords far away from moisture, liquid and heating sources is also of major importance and do not remove the ground pin from your plugs, as it helps to redirect the current in a safe manner to the ground. Many see extension cords as a long-term fix for making a cord reach to the other side of the room, but this can cause them to be overused or damaged from normal wear and tear around the area it has been placed. If an extension cord is going to be needed in a space for a long period of time, consider hiring an electrician to add more outlets to the home instead. Keep your home and family safe. As the summer approaches, start up all your extra fans and ice machines before scheduling an electrical inspection. 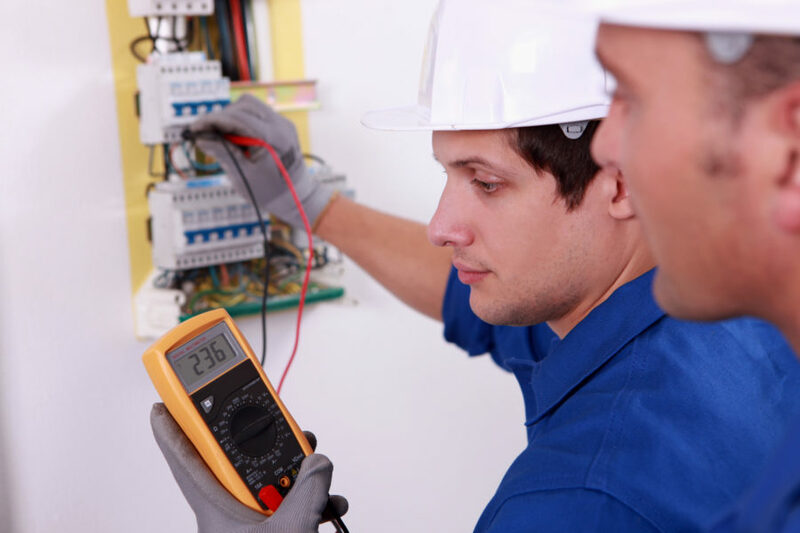 An electrician can help ensure everything is up to code and in good shape to run. With an electrician checking both inside and outside of the home, you’ll have peace of mind while you enjoy relief from extreme weather. Remember an electrical inspection can protect your property and family from harm or even bigger expenses and problems in the future. Are you thinking you need a home inspection by a qualified electrician? Contact Colvin Electric today for your home electrical inspection and ensure your home is good to go for this crazy Texas weather!